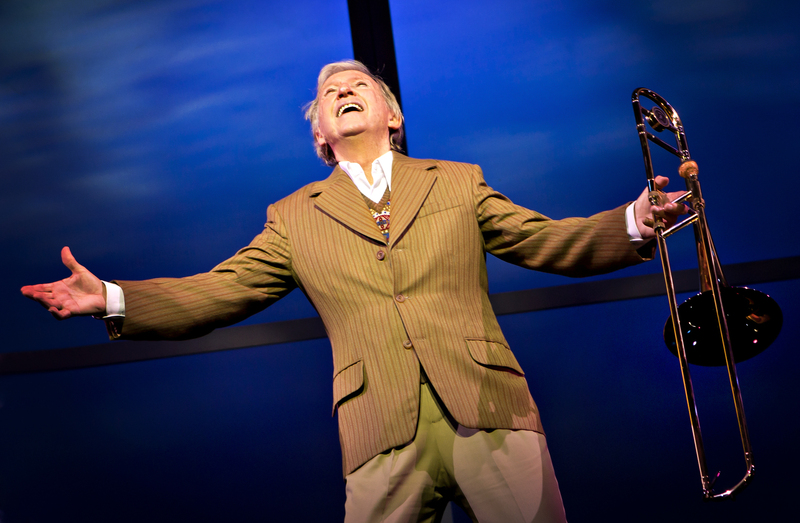 There’s no denying the star quality and pulling power of Tommy Steele, the rousing ovation from the packed to the rafters auditorium as he merely steps on stage is proof of that, that coupled with the public’s enduring fascination with the music and mysterious disappearance of Glenn Miller and you have a show that promises to fill the house every night. Seventy years since Miller vanished over the English Channel, Bob Tomson and Bill Kenwright present a musical biographical journey through the all too short life of the legendary band leader. 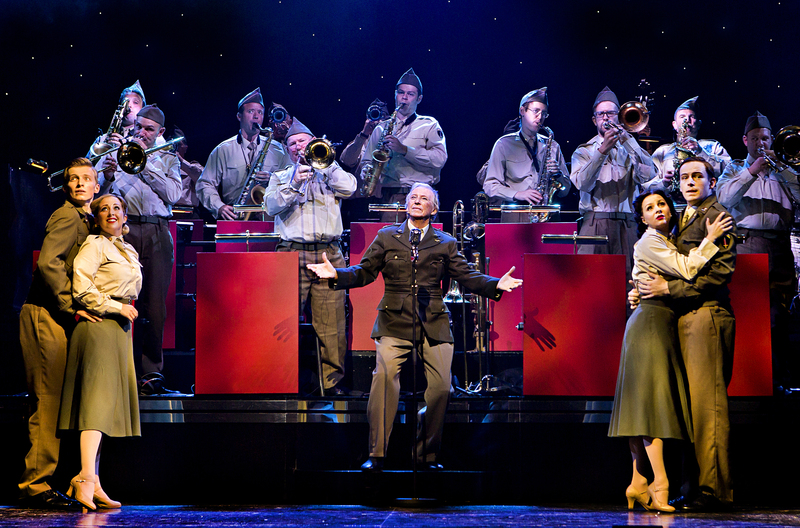 With a sixteen piece orchestra, a six-piece ensemble of fine-voiced singers and dancers and a top-notch central cast there is much to praise here, most of all the rousing band – at their best when blasting out glorious tunes such as: In The Mood and Pennsylvania 6-5000. Less successful though is the casting of Britain’s first rock ‘n’ roll star as Miller. Tommy Steele is a legendary song and dance man and has a raft of musical theatre experience behind him, the legendary twinkle in the eye is still there and much of his voice remains, however his advancing years (78) stretch the boundaries of believability playing a man who tragically died at the age of forty, especially when cast beside a very youthful actress as his wife. That said, this is an enjoyable, brisk gallop through the life and times of a man who changed the face of popular music and a chance to see a legendary British stage performer in the flesh, and there should be enough to entertain fans of both Steele and Miller alike.